Abiodun Akande studied fine arts at Obafemi Awolowo University in Ile Ife, Nigeria, and received an MA and PhD from the Institute of African Studies at the University of Ibadan, also in Nigeria. His dissertation on “Yoruba Traditional Religious Wood-Carvings in Oyo, Sabe, and Ife” reflects his broader interest in the diffusion history of Yoruba peoples and their material culture across national boundaries. Akande is also interested in recording the effects of diffusion on sociocultural and artistic productivity and the resultant identities and iconologies of this culture group. 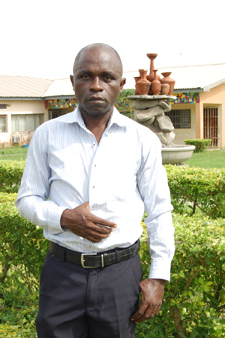 Akande teaches art history, museology, art education, and painting at the Emmanuel Alayande College of Education in Oyo. In 2013, he participated in the first Basel Summer School in African Studies at the University of Basel in Switzerland; he also attended a graduate symposium hosted by the School of Arts at Peking University in Beijing, China. María Isabel Baldasarre holds a PhD in art history from the Universidad de Buenos Aires in Argentina, having earned an undergraduate degree in art history from the same university and a National Professor of Sculpture degree from the Escuela Nacional de Bellas Artes Prilidiano Pueyrredón. Baldasarre is currently a researcher at the Consejo Nacional de Investigaciones Científicas y Técnicas (CONICET), an associate professor and coordinator of the master’s degree program in Argentinean and Latin American art history at the Universidad Nacional de San Martín, and a member of the board of the Centro Argentino de Investigadores de Arte. Baldasarre has received scholarships and grants from CONICET, the Antorchas Foundation, the Latin American Studies Association, the Getty Foundation, the Institut National d’Histoire de l’Art, and the Kunsthistorisches Institut in Florenz. A specialist in late-nineteenth- and early-twentieth-century European and Argentinean art, art collecting, and the art market, Baldasarre is the author of Los dueños del arte. Coleccionismo y consumo cultural en Buenos Aires (Buenos Aires: Edhasa, 2006). 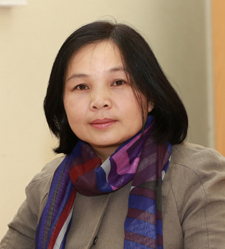 Bùi Thị Thanh Mai is a lecturer in art history, theory, and criticism at the Vietnam University of Fine Arts in Hanoi. She is also head of the university’s Department of Academic Research Management and International Relations and a member of the editorial board for the university’s journal, Art Research Magazine. Bùi specializes in the history of Vietnamese art, with a focus on modern and contemporary art; she is also interested in art theory, art education, and curatorial theory and practice. Bùi is working on three concurrent projects: “Optimistic Characterization in Painting in Hanoi in 1945–1990” within the framework of the Ambitious Alignments: New Histories of Southeast Asian Art program; “Art Theory and Criticism in Vietnam: Actual Situations and Solutions of the Effect on the Artistic Life”; and a textbook on Vietnamese art history for the Vietnam University of Fine Arts. 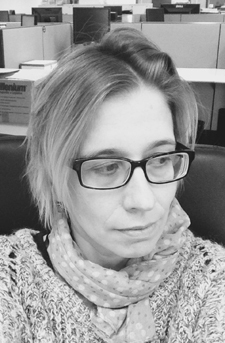 Heloisa Espada received a PhD in art history and art criticism from the School of Communications and Arts at the University of São Paulo in Brazil in 2011. She studies Brazilian art after World War II, with a special focus on geometric abstraction and photography. 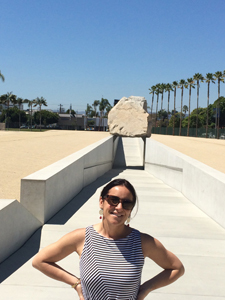 In 2014 Espada began postdoctoral studies at her university’s Museum of Contemporary Art, where she is researching the origins of Concrete art in the city, supported by a grant from the Coordenação de Aperfeiçoamento de Pessoal de Nível Superior, a Brazilian government agency. Espada wrote Hércules Barsotti (São Paulo: Folha de São Paulo, 2013), Geraldo de Barros e a fotografia (São Paulo: Instituto Moreira Salles and Edições SESC, 2014), and Monumentalidade e sombra: o centro cívico de Brasília por Marcel Gautherot (forthcoming from Annablume). Since 2008, she has been the head of visual arts at the Instituto Moreira Salles, where she is also researcher and curator. Ildikó Gericsné Fehér received an MA and PhD in art history from Eötvös Loránd University in Budapest, Hungary. As associate professor in the Department of Art History of the Hungarian University of Fine Arts in Budapest, she lectures and leads seminars on Renaissance and Baroque art. She is also a consultant to the university’s Conservation Department. Fehér’s research interests include detached wall paintings from medieval and Renaissance Italy in the collection of the Museum of Fine Arts Budapest; Florentine art dealers at the end of the nineteenth century; Károly Pulszky’s purchases of paintings in Italy for the museum circa 1890; wall paintings in Umbria from the fourteenth to sixteenth century; self-portraits by Hungarian artists in the Uffizi Gallery; and the works of Jacopo Palma il Giovane. Lev Maciel graduated from the Medieval Studies Department at Lomonosov Moscow State University in Russia in 1998, with an M.A. thesis on fifteenth-century Spanish history. His dissertation on eighteenth-century Siberian architecture earned him a PhD in 2004 from the State Institute for Art History in Moscow. Currently Maciel is an associate professor in the Faculty of Humanities of the National Research University Higher School of Economics in Moscow, where he supervises the recently created program in art history. He is also a part-time research associate professor at the Institute for Theory and History of Architecture and Town Planning in Moscow. Maciel’s research interests include a wide range of subjects within the history of architecture, including the late Renaissance and Baroque (Russia, southern Italy, Brittany, Spain, and Latin America), late antiquity and Byzantium, the Islamic world, Mongolia and Tibet, and nonmodernist movements in the twentieth century. 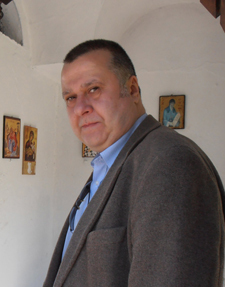 Emmanuel Moutafov is a Byzantinist, art historian, and epigrapher who holds a PhD in world history of the fifteenth to nineteenth centuries from the Institute for Balkan Studies at the Bulgarian Academy of Sciences in Sofia. He has been a visiting research fellow at the Program in Hellenic Studies at Princeton University; a Mellon Foundation fellow at the Institute for Advanced Studies in Berlin; a Mellon Foundation fellow at the W. F. Albright Institute of Archaeological Research in Jerusalem; and a Getty Foundation research fellow in the summer research group Visions of Byzantium in Istanbul, Turkey. In 2013 he became a supervisor of research at the board of directors of the Institute for Art Studies at the Bulgarian Academy of Sciences and last year was appointed a director of the same institute. Ceren Özpınar is a lecturer and a scholar of art historiography and the history of art whose research covers feminist temporalities in art historiography and contemporary art in Turkey. She is currently a British Academy Newton International Fellow in the Department of Art History at the University of Sussex (2015-17). Özpınar received a PhD in the history of art from Istanbul Technical University in 2015, with a thesis on the historiography of contemporary art in Turkey. In 2013, she held a one-year position of visiting research fellow at the University of Leeds, for which she was awarded a doctoral research grant by the Scientific and Technological Research Council of Turkey. She is among the authors of National Art Histories in an Unfinished World (forthcoming from McGill-Queen’s University Press). Özpınar teaches undergraduate and graduate courses in art history, art management, and visual culture. 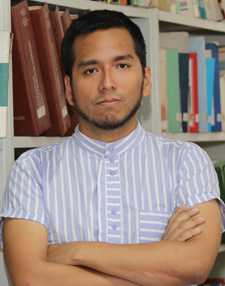 Horacio Ramos is a Peruvian art historian who specializes in Latin American vanguardism and neovanguardism. He teaches at the Pontificia Universidad Católica del Perú in Lima and also works as researcher at Museo de Arte de Lima. Ramos holds a BA in philosophy and an MA in art history from the Universidad Católica. In previous research, he explored the reform of Lima’s main square (or Plaza de Armas) during the first half of the twentieth century, a complex process that involved debates about nationalism, architectural heritage, and modernism. Currently he is focusing on how invasiones(precarious urban settlements at the periphery of Peruvian cities) have been represented in documentary photography and neovanguardist art of the later twentieth century. Since invasiones and abandoned archeological ruins share the deserted landscape of the coast, his investigation seeks to trace the complex interconnections between art, archeology, landscape, and social exclusion. 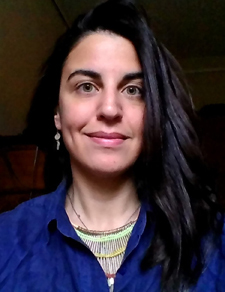 Olaya Sanfuentes Echeverría earned a bachelor’s degree in history from the Pontificia Universidad Católica de Chile in Santiago, a master of arts from Georgetown University in Washington, DC, and a PhD in art history from the Universitat Autònoma de Barcelona in Spain. She is a professor at the Institute of History, a part of the Department of History, Geography, and Political Science at the Pontificia Universidad Católica de Chile. Sanfuentes’s current research focuses on devotional practices involving art, especially religious statues used in festivals and rites in honor of the saints and virgins in Andean communities, as well as similar practices related to nativity cribs. More generally, Sanfuentes is interested in practices surrounding visual representations, history, and material culture, and how communities deal with cultural heritage. Paulo Silveira holds bachelor’s degrees in fine arts (with qualifications in drawing and painting) and in communication studies from the Universidade Federal do Rio Grande do Sul in Porto Alegre, Brazil. He earned an MA and PhD in visual arts, with an emphasis in art history, theory, and criticism, from the same university. His graduate studies included doctoral research in France at the Université Paris 1 Panthéon-Sorbonne. Silveira is a professor of art history at the Instituto de Artes at the Universidade Federal do Rio Grande do Sul. His research interests include visual arts, with a focus on the formal and contextual study of the artistic process, the intellectual and artistic foundations of contemporary art, intermedia, perception of works of art, aesthetics, rhetoric of artist’s publications, and methodology. 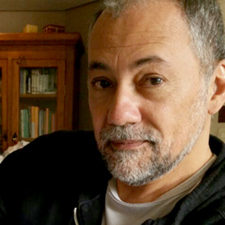 Silveira is a member of the Brazilian Committee of Art History and the National Association of Researchers in Fine Arts (serving on its committee for history, theory, and criticism). University of Dubrovnik, Arts & Restoration Department sandra. 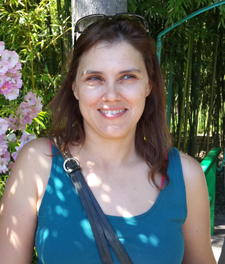 Sandra Uskoković is an assistant professor in the Department of Arts and Restoration at the University of Dubrovnik in Dubrovnik, Croatia. Her primary areas of research include architectural theory, modern architecture, urban culture, performance art, and cultural studies and heritage. 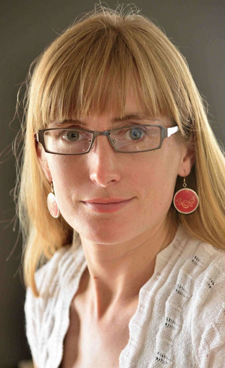 She received an MA in architectural history and heritage preservation from George Washington University in Washington, DC, and a PhD in historic preservation and architectural history from the University of Zagreb. During 2002–3 Uskoković served as an intern at the International Centre for the Study of the Preservation and Restoration of Cultural Property in Rome, Italy, and at the International Committee on Monuments and Sites (US/ICOMOS) in Washington, DC. 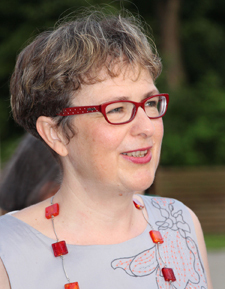 She is a member of the ICOMOS Scientific Committee on Twentieth-Century Heritage and has participated in conferences on international preservation. 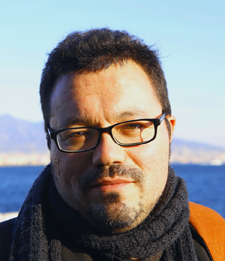 Uskoković is the author of three books: Modern Architectural Heritage of Dubrovnik (Zagreb: Antibarbarus, 2010), Contemporary Design in Historic Settings (Zagreb: Antibarbarus, 2013), and Architect Lovro Perković: Sensibility of Space Design (Zagreb: Ex Libris, 2015). 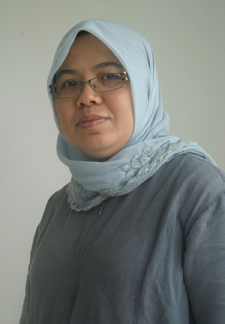 She also has published numerous articles in academic and artistic journals. Since 2015 she has coordinated a regional interdisciplinary forum for research in urban culture in the Balkans, called Urban Hum.